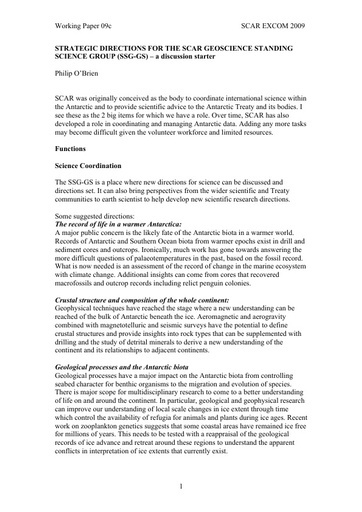 SCAR was originally conceived as the body to coordinate international science within the Antarctic and to provide scientific advice to the Antarctic Treaty and its bodies. I see these as the 2 big items for which we have a role. Over time, SCAR has also developed a role in coordinating and managing Antarctic data. Adding any more tasks may become difficult given the volunteer workforce and limited resources.